Having access to a solid selection of drone apps is one of the best ways to take your aerial photography skills to the next level. Certain smartphone apps can help you refine your camera settings to suit the conditions, connect you to paid missions in your local area and, handily, make sure you don't go flying in protected airspace. And that's not all. Here's our rundown of 2018's best drone apps to help make your flights safe, easy and more productive. PolarPro might already be familiar to pilots because of the company's range of drone accessories. These include ND filters, which offer more camera setting flexibility in challenging light conditions. PolarPro has an app out that helps you select the best filter for getting your shutter speed as close to double your frame rate as possible, which is exactly the kind of shortcut you need when the conditions are tough and you need to sort out your gear quickly. The latest app also has live wind and weather forecasts and programmable alerts for golden hour, making it useful for ground-based photography, too. The PolarPro app is available for Android and iOS devices. If, like the majority of pilots, you fly a DJI drone, you'll already know all about the DJI Go 4 app. It's the one app you can't really do without, helping you make the most of your drone, adjust all of your flight and camera settings, and share your media directly to your social platforms. Apart from giving you access to all to intelligent flight modes and camera settings, the DJI Go application is required for regular firmware updates to keep your drone operating as efficiently as possible. It also acts as your way in to DJI's social platform, Skypixel. DJI Go 4 is available in the Apple Store and Google Play. It’s compatible with every DJI drone since the Phantom 4. If you’re flying a Phantom 3, you’ll need to use the standard DJI Go app. We all know that a small minority of drone pilots sometimes fly where they shouldn't. Some people don't mind breaking the rules, but most of the time it's simply an accident and a result of not knowing which airspace is protected. The best way to avoid doing something similar - whether you're flying for commercial or recreational reasons - is to keep up to date with no-fly zones in your local area and check the validity of your flight before you take off. One app that helps you do that is Hover, which provides no-fly zones from AirMap. The app also features an industry news feed and live weather conditions. Hover is available in the Apple Store and on Google Play. Another situational awareness app is AirMap for Drones, from the same company that provides the data for Hover. As well as providing guidance on where and when you can fly, AirMap allows you to request digital authorization for flights, notify certain airports of your intentions, set up air traffic alerts, toggle between multiple map styles, plan flight paths and easily connect to DJI Go to switch up your camera settings. Most useful is probably the 'Can I fly here?' tool, which offers live airspace rules and conditions depending on your flight plan, covering regulations in 20 countries from the United States and Canada to Japan, New Zealand and the United Kingdom. AirMap for Drones is available for free on iOS and Android. A prerequisite for epic landscape photography is an understanding of light and how to use it to your advantage. Sun Surveyor is an app that aims to simplify the sun's mysterious ways. It provides pilots and photographers with detailed, location-specific information on the sun's position and sun rise and set phases, giving you the power to scout the best locations, plan your flights ahead of time and ultimately, get that perfect shot. The Sun Surveyor (Sun & Moon) app is available for $7.99 for Android and iOS. If you're looking for simple airspace information without all the bells and whistles that come with Hover, you could just as easily download the FAA's B4UFLY app. It's available for free download in the App Store for iOS and Google Play store for Android. 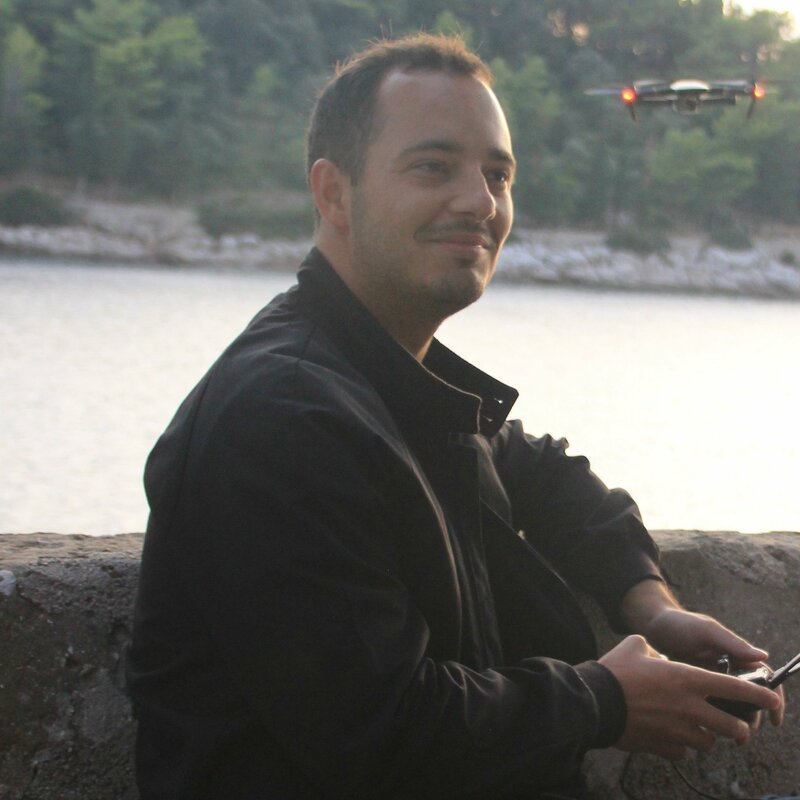 It wouldn't be a proper list of drone apps without mentioning our very own: DroneBase Pilot. Our platform is open to experienced pros and relative beginners. It's for any pilot that wants to earn as they fly and turn their hobby into a career. The DroneBase Pilot app acts as the gateway to thousands of aerial photography jobs in your area. And on top of giving you the power to discover and manage missions nearby, it lets you track your earnings and fly your drone with the tight integration with DJI's SDK. Want to find out more? Check out our Pilots page today. Drone simulators are a great way to hone your piloting skills without putting expensive kit at risk. They're also a good for killing time while you're on the road, when the conditions aren't ideal for flying, or when your drone is in for repairs. Drone simulator apps come in put all of the risk into the virtual world and make improving a less stressful process. There’s are a few simulator apps worth trying out. We like Quadcopter FX Simulator. It's available on both Android and Apple devices. Those are just a few of our favorite drone apps. Adding them into your workflow could improve your end results, help you become a better, more efficient pilot and, of course, make is far less likely that you'll get into trouble by flying your drone where you shouldn't. Have any more memory left on your device for a few drone videos? Find out more about how you can become a DroneBase pilot today.